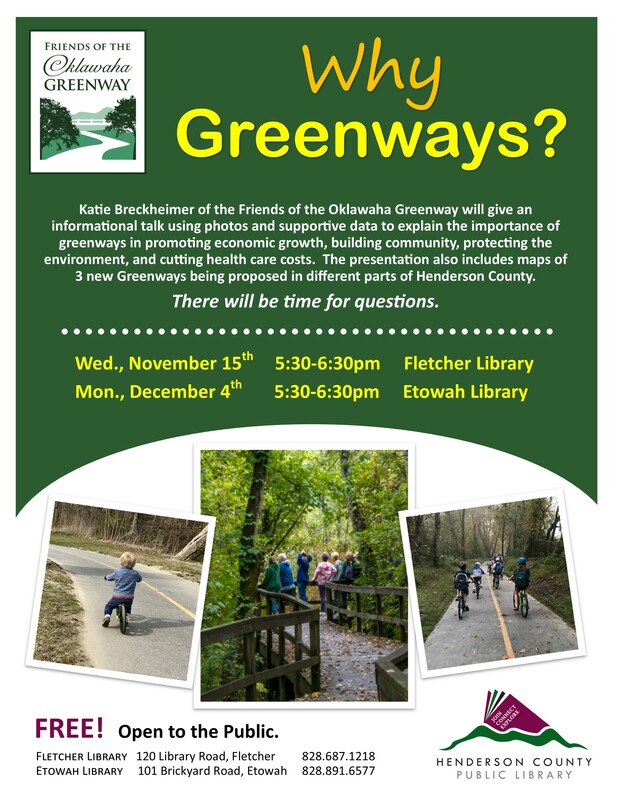 “Why Greenways?” is an informational talk using photos and supportive data to explain the importance of greenways in promoting economic growth, building community, protecting the environment, and cutting health care costs. The presentation also includes maps of 3 new Greenways being proposed in different parts of Henderson County. The presentation lasts about 30 minutes with additional time for questions.